Detailing the physical features, habits, territorial reach and other identifying qualities of the Velvet Ant. Velvet Ants are excellent mimics of the less intimidating ant, but this wasp-in-disguise inflicts terrible stings on prey and people alike. 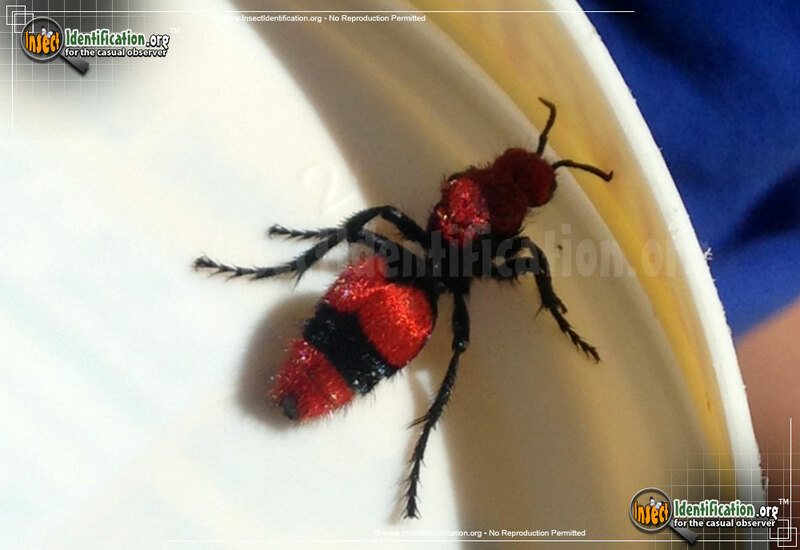 Glistening hairs on the head and abdomen almost beckons to be petted, but a Velvet Ant is a risky insect to touch. Because of their physical and behavioral similarity to ants, it is easy to mistake a female as harmless and not give it a wide berth. Many Velvet Ants are red and black, a classic color combination for insects that are dangerous. The female Velvet Ant is wingless, giving some comfort, but what she lacks in mobility she makes up for in 'bite'. She is a wasp, and her sting is painful and potent. She uses this as a defense against threats, including humans. Males do have wings and can sting, but they do not deliver the same level pain as females. Both genders can create a squeaking noise by doing abdominal crunches. What most Velvet Wasps use as hosts for feeding their larvae is unknown. 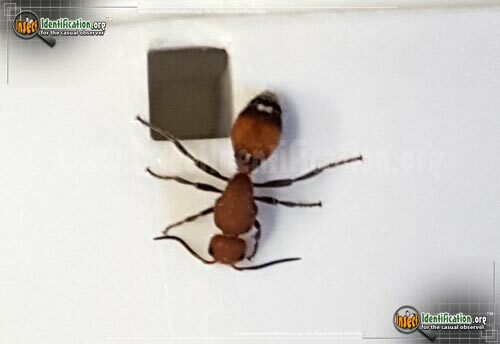 The female gets more attention because she is grounded and more visible, but how Velvet Ants generally live can be as varied as the species. Watch out for this wasp in arid and semi-arid regions of the American Southwest and Mexico as well as the central plains states. There are also some species in the Southeast.